A Mikvah is a sacred space at the core of Jewish ritual life. A deeply contemplative and spiritual experience, immersion in a Mikvah pool is a traditional purification rite that has expanded in practice to honor defining or transitional life events. The physical characteristics of a Mikvah are of central importance to the ritual itself, and the design must respond to specific Rabbinic principles that govern both material and experiential features. Situated within the Mittleman Jewish Community Center campus, Carleton Hart collaborated with the client and members of the Jewish community to identify an appropriate site to provide a meditative and discrete experience for users within the larger campus setting. Extended walls and screen offer a sense of seclusion from the rest of campus. 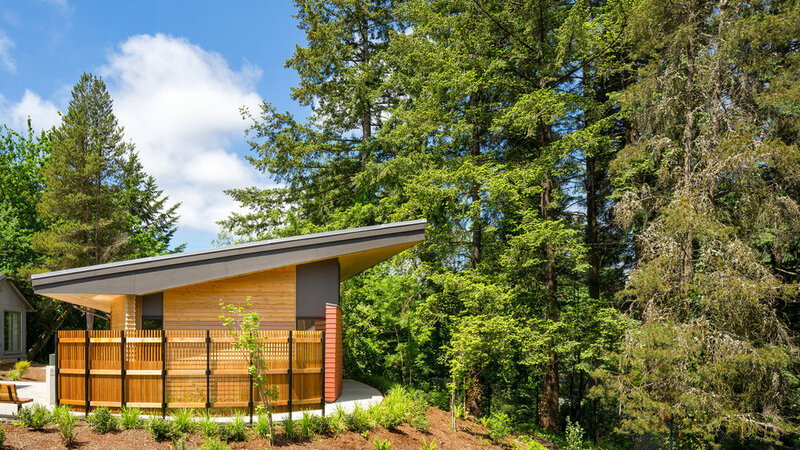 The shed roof floats above the walls serving a functional purpose for rainwater collection and window shading, but also insinuates movement, gesturing toward the towering trees above. Programmatically, the building is composed of three parts: reception hall, preparation rooms / witness room, and the Mikvah pool. Continuous clerestory windows in the reception hall and Mikvah pool animate these spaces with glimpses of trees and sky. While the preparation rooms and the witness room are ample to provide comfort and flexibility to users, they are intentionally understated in contrast to the Mikvah pool space to emphasize the spiritual journey users experience as they progress through the building to the Mikvah pool. 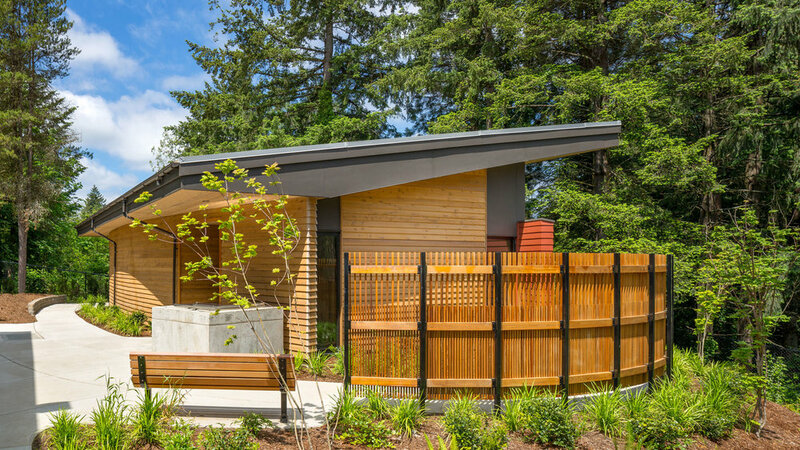 Regional materials, low-VOC finishes, and LED lighting contribute to the overall sustainable design approach. 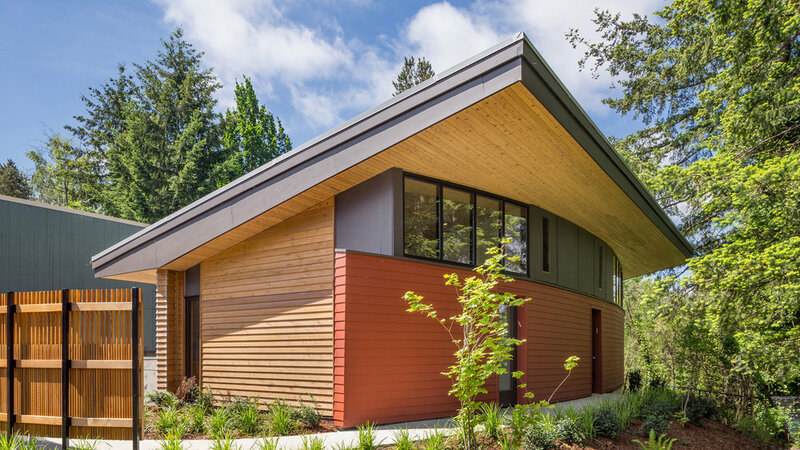 The extended overhangs, north facing clerestory, careful window placement and above-Code insulation allow the building to function with minimal heating and no mechanical cooling.